The Kardashians are back. E! just announced Keeping Up with the Kardashians will return for its 15th season this August. Season 15 of Keeping Up with the Kardashians premieres on E! on August 5th at 9 p.m. ET/PT. 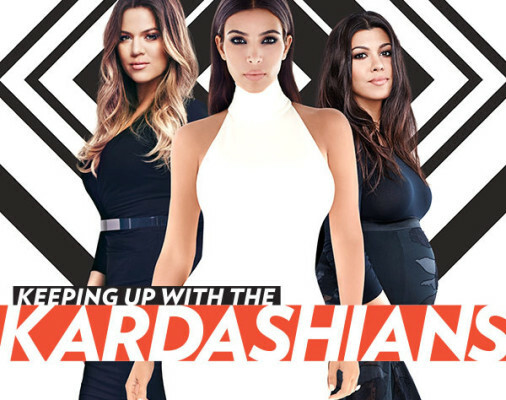 Los Angeles, CA – June 29, 2018- E!’s mega-hit series, “Keeping Up with the Kardashians,” returns for its fifteenth season on Sunday, August 5 at 9pm ET/PT, and the ever-growing Kardashian family faces some of their toughest challenges yet. This season is a baby boom as Khloé and Kylie navigate first-time motherhood and Kim welcomes her third child via a surrogate. Meanwhile, tensions run high between the three eldest sisters as Kim and Khloé question Kourtney’s drive and priorities, causing Kourtney to contemplate her loyalty to the family. Taking their passion for advocacy to the next level, Kourtney and Kim head to the nation’s capital to lend their voices to important causes. While Kourtney is advocating for safer personal care products, Kim makes it her mission to have President Donald Trump grant clemency for Alice Marie Johnson, a woman that was sentenced to life in prison for a first-time, non-violent drug offense. Viewers will see, in real-time, Kim fight for Alice’s rights which eventually leads her to freedom. Kendall continues to take the modelling world by storm, making a point to enjoy the countries she is traveling to while channelling her inner child especially while in France. Kourtney and Scott embrace their “new normal” by tackling co-parenting their kids, and Kim reacts to some of Kanye’s controversial comments as he prepares for the release of his latest album. Meanwhile, the competition turns fierce as the entire Kardashian-Jenner-West families come together for a good cause to tape an episode of “Celebrity Family Feud,” fulfilling one of Kanye’s lifelong dreams of appearing on the show. Even with their differences of opinion, this close-knit family knows they are better when they are all together. What do you think? Do you watch Keeping Up with the Kardashians? Are you excited for the new season? More about: E! TV shows: canceled or renewed?, Keeping Up with the Kardashians, Keeping Up with the Kardashians: canceled or renewed? Keeping Up with the Kardashians: Family Signs a Big Renewal Deal with E! Keeping Up with the Kardashians: A Movie in the Works?